Another sleepless night, another outing canceled, this is what a life with pain looks like. Pain is a merciless adversary that tears individuals down and breaks families apart. Sleep, energy, and joy, are the first three things chronic pain will steal from you. Are you one of the 50 million people suffering from chronic pain? Every day, Americans force themselves to “get through”, yet another long and strenuous day. Yes, pain is horrible, but it also serves a purpose. Your body only has so many ways to communicate with you, and sending pain signals is one of them. 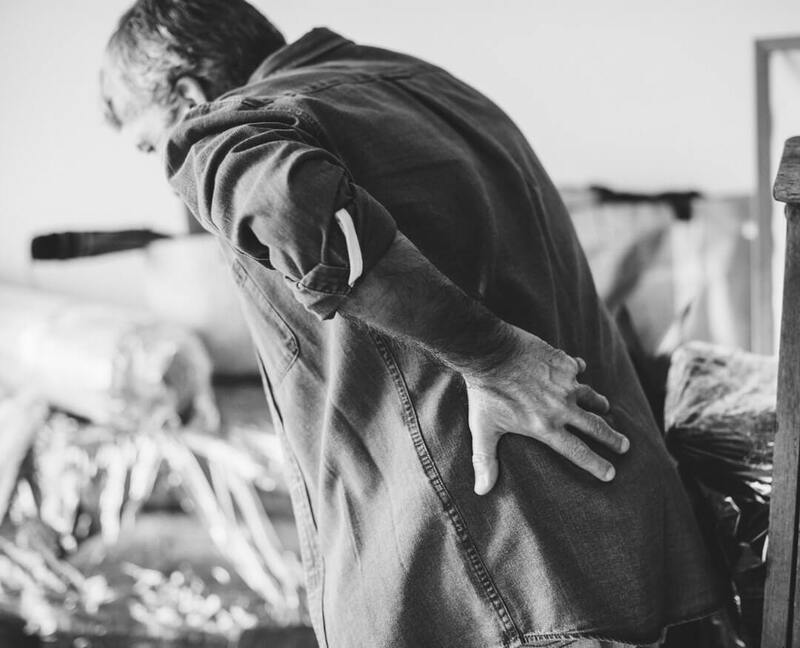 Back muscle pain could be a symptom of another underlying health hazards. Have you recently started having back problems? Or maybe you’ve had them all your life? Read on to find out what you’re the body is really trying to tell you. In certain cases, back pain is a symptom of some type of cancer. Did you know one of the first symptoms of lung cancer is back muscle pain? Almost 25% of people with lung cancer say back pain was the first noticeable symptom they had. Here are some symptoms that could point towards lung cancer. Just because you have any of the above symptoms, doesn’t mean you have lung cancer. If you’re dealing with back problems, there are a number of nonsurgical treatments, like spinal decompression you can read more about. How does lung cancer cause you back or muscle pain? When there’s a tumor in the lungs, it puts pressure on the spine. When pressures put on your spine, the surrounding nerves react negatively. Nerves around your chest wall and spine, can become pinched or irritated by the presence of the tumor. Another way lung cancer affects your back is through malignant tumors that aren’t adding pressure. The presence of malignant tumors can irritate the nerves on the linings of your lungs and chest wall. The irritated nerves can send a sharp and frequent pain signal to your brain. Another way lung cancer relates to back pain is when it spreads to your spine. About 30% of patients with lung cancer experience the spread of the malignancy. When a malignancy is spreading, it can move from the lungs to the spine and bones. Finally, lung cancer can also spread to the adrenal glands. When this happens individuals experience a localized pain since it’s location is right above the kidney. A spinal infection can occur from bacteria or fungus. When one part of the body is fighting off an infection, it can spread to other areas. Sometimes bacterial, or fungal infections will travel through the bloodstream and into the spine. One of the most common spinal infections is Staphylococcus aureus. The second most infamous spinal infection is Escherichia coli. There are several risk factors that increase your chances of developing a spinal infection. Here are a few of the risk factors that can compromise your immune system. Any of the above conditions can put your body at a greater risk of getting some type of infection. Once the infection’s present, your spine is at risk as well. If you think you might have a spinal infection, here are some of the symptoms you could experience. You might only have a few symptoms at first, and over time find you have more. Severe back pain isn’t usually the first symptom, yet it’s the most common. To prevent a spinal infection from occurring, you’ll need to maintain a proper diet. Eating healthy foods and drinking plenty of water, helps your bodies immune system function efficiently. An abdominal aortic aneurysm or triple A can directly impact your spinal health. There aren’t always symptoms, which is why triple A’s can be fatal. There are several factors that put you at a higher risk of getting a triple-A. High cholesterol, high blood pressure, and smoking are 3 of them. Stress and anxiety can also cause your body to experience back muscle pain. A part of your bodies way to respond to stress is to tighten its muscles. If you’re constantly experiencing stress, your muscles never get a chance to relax. Low impact activities like yoga, can be very effective at eliminating stress and reducing pain levels. Of course, you’ll want to check with your doctor before beginning a new exercise plan. If you’re not ready to try a new activity, maybe you need to pamper yourself. Take time out of your week to plan a special spa day. Draw up a nice bath, listen to relaxing music, and let yourself unwind. Let the stress melt off of you, and feel the pain lighten up, as you relax more and more. Good Sites Like wants our readers to have the best choices online made available to them. It’s our goal to make your life easier with our quality information and valuable resources. Still looking for answers to your medical questions? Check out our latest article, all about 6 medical websites like WebMD.